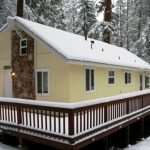 Are you looking for mountain cabin rentals in Twain Harte, CA for your vacation? Read on to learn how to select the right cabin for a lovely experience. 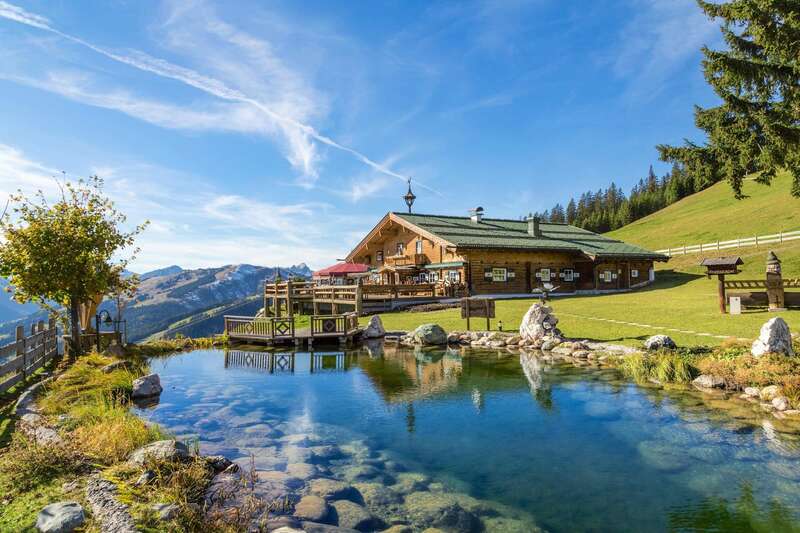 Is there anything more idyllic than a beautiful cabin nestled high in the mountains? Summer, winter, or any season in between, mountain cabin rentals are the perfect way to escape the hustle and bustle of big city life. The trick is finding the cabin that’s perfect for you and your family. Whether you’re off to explore Yosemite Park or hit the slopes at Dodge Ridge, you need the right accommodation. In this post, we’ll reveal six tips to help you choose the best mountain cabin rentals in central California. A major concern of any vacation is finding good accommodation within your budget. Whether you can spend $100 per night or $1,000, you need to make sure you can afford the vacation you’re about to take. Luckily, there are ways to cut back on costs to make your getaway more affordable. Most mountain cabin rentals come equipped with full kitchens. This allows you to cook and prepare meals at home rather than eating out three times a day. Another tip for keeping your vacation affordable is to travel during the off-season. In the low or shoulder seasons, you may be able to find a rental for a fraction of the high-season rates. If possible, be willing to shift your travel dates to suit the property’s existing reservations. If there are a few unbooked nights between longer reservations, you may be able to fill those “gaps” at a reduced rate. The next most important factor to consider is the size of the cabin. Are you a couple seeking a romantic getaway? A family of five with three young children? A group of 15 friends traveling together for the holidays? Whatever the size and makeup of your group, you need to be sure there are enough beds to accommodate everyone. It’s great if everyone can have their own bedroom, but with large groups, this isn’t always possible. Are some in your group willing to bunk together? Who will sleep on the pull-out couch? Would anyone prefer to bring a tent and camp in the backyard? You should also factor in how much time you’ll actually spend in the cabin. If you’re planning to be out hiking or skiing all day and only use the cabin to sleep, you might be able to get away with a smaller rental. But if you plan to hole up and spend a lot of time enjoying the cabin’s amenities, there needs to be enough space for everyone to spread out and feel comfortable. Chances are you’re seeking mountain cabin rentals because you want to enjoy a little seclusion. You want to get away from the crowds and chaos of your city and reconnect with nature. Imagine if you book a private cabin in the woods–only to show up and realize you’re in the middle of a campground. Even worse, your cabin is just one in a long row of other vacation properties. Before you book, make sure your cabin is located in the isolated environment you’re envisioning. There should be plenty of space between you and your next closest neighbor, ensuring privacy for all parties. The best mountain cabin rentals are located deep in the woods along a private access road. That way, you ensure you have quiet and seclusion you seek. Wherever you book your cabin, do some research ahead of time to see what the surrounding area has to offer. Do you hope to go hiking, fishing, or hunting? Are you an avid snowshoer or skier? Do you want access to national parks, vineyards, or local nightlife? 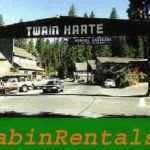 Many travelers book their mountain cabin rentals in Twain Harte, California, because of its ideal location. Click here to see the wide array of activities in the surrounding area. You’ll also want to consider practical amenities that you and your family may need. Is the cabin equipped with heating and WiFi? What about extras like laundry facilities, a hot tub, or a game room? Does the property accept pets? Find out ahead of time so there are no unpleasant surprises when you arrive. Seclusion is great, but you still want your rental to be in an accessible location. If you plan to cook meals in the cabin, you want to be a reasonable distance from the nearest grocery store. You also want to consider immediate accessibility to hiking trails, playgrounds, or fishing areas. If you’re dying to explore some national parks but your cabin is five hours from the entrance, you’re going to spend more time driving than exploring. Cabins in Twain Harte are conveniently located less than three hours from San Francisco. Whether you live in the Bay area or you’re flying in, it won’t take too much time or effort to reach them. And once you’re there, you’ll be amazed at how close they are to so many other places. A final piece of advice when booking mountain cabin rentals is to use common sense. If a deal seems too good to be true, it probably is. If you see a seven-bedroom cabin advertised for $80/night, it’s probably a scam. Trust your gut instinct and move on. You should also be wary of paying via wire transfer or cashier’s checks. In the unfortunate event that you’re being scammed, you may not have any legal recourse. Only book a cabin through a reputable rental agency using a major credit card. This way you protect yourself and ensure your mountain getaway will be problem-free. Now that you know what to look for in a cabin, are you ready to book your getaway? We invite you to check out our blog to learn more about upcoming local events like wine tastings, holiday parties, and live entertainment. And when you’re ready, please contact us to make a booking or ask any questions. We look forward to welcoming you to our beautiful mountain cabin rentals in Twain Harte!